A Few Scraps: Can I interest you in some thread? Wait, not that thread. But it sure is pretty, huh? There we go. What you see here is three spools of YLI variegated machine quilting thread. I had to wind two of them back up but I don't recall ever using any of them and they appear to be full spools. The color ways are California Poppy, Caffe Romano and Rio de Janiero. I really like this thread. It is thicker than most other threads, which means it rarely breaks. And, the colors are rich and beautiful. I just have too much thread and wanted to offer a little giveaway for my regular blog readers. 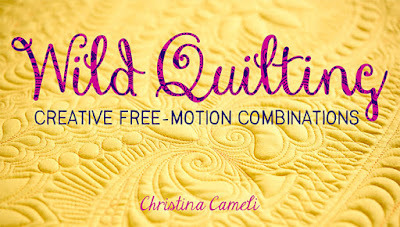 To enter, comment on this post regarding free motion quilting. If you free motion quilt, what resource (website, book) has been most helpful to you? If you don't free motion quilt, what concerns or questions do you have about free motion quilting? I'll leave this up for a few days at least. pretty thread. I have it in a verigated pink, but haven't used it yet. I think the brown colorway would look good on one of my ufos. maybe if i win it will spur me on to finish it, hehe. I don't freemotion a lot (probably because it takes me a while to finish a quilt, and I've been thoroughly enjoying hand piecing all summer..) but when i do I just doodle on a scrap sandwich for a while until I find some shapes/pattern that seem interesting to try in a larger area. 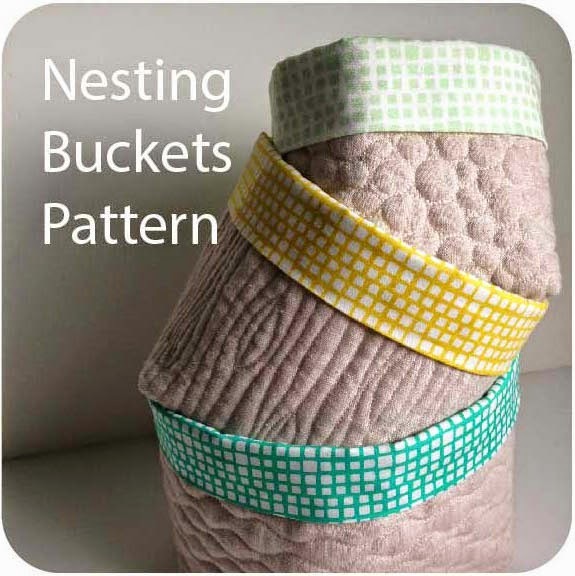 I follow the blog 365 days of freemotion quilting designs and there's tons of ideas over there. good luck coming up with a quilt plan for your current project and thanks for writing your blog, it's always an enjoyable read..
Oohh... I love that orange!! I learned to free motion quilt from a variety of places. I have the book, "Quilt as Desired" and love that resourse. I started meandering after reading a post from Oh Fransson. I practiced some loopy flowers and can't wait to use them on a project sometime soon! Thanks for the giveaway chance! 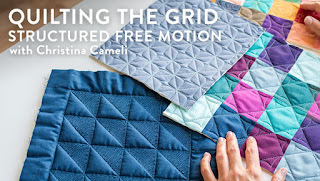 Free motion quilting is one of those places I dream of going with profound success, but when the time comes, I am completely overcome with fear. I am self-taught, but watch videos online to see "pros" in action. Quite intimidating! I know it's practice, practice, practice, but I'm not so diligent. Thanks! I think hands on is probably the best...take a class and then just practice! I haven't done much on my own quilts yet but I'm excited to. And when I think of free motion I actually really would love to have a long arm!!! That would be the ultimate! :) Your thread is gorgeous btw! I love the thread! 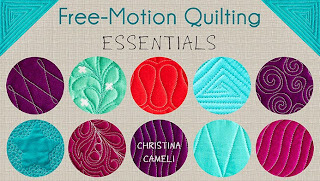 I haven't tried free motion quilting yet, but I am curious. I think I just need to try on a practice fabric to see what it is like. I have watched a few youtube videos too. I have a variegated blue thread that I've used on a couple of projects. I also have a rainbow variegated, which is pretty fun. She does all sorts of videos and tutorials that were awesome when I was trying to figure out how the whole thing worked. I took a class at my local quilt shop, but have yet to tackle any large projects. Just little postcards and small quilt pieces. I should do more so I will have the confidence to do a whole quilt. thanks for the giveaway, beautiful thread. I've never done free quilting because I handquilt, but in theory, it sure would broaden my quilting horizons! I would really love to learn how to free motion quilt but I think that I might be too clutzy and would absolutely die wrecking a perfectly beautiful creation. 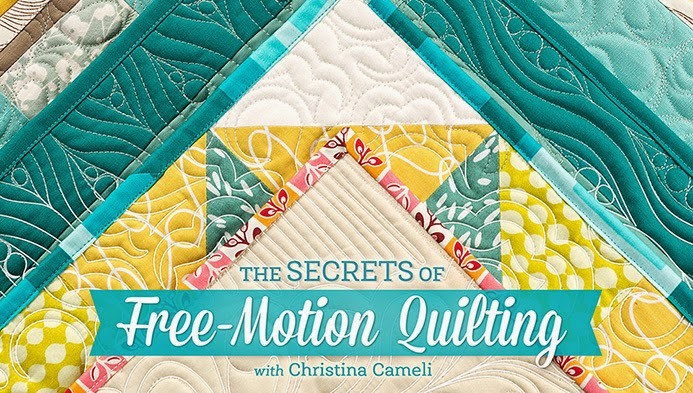 A friend of mine has offered lessons... maybe I will take her up on it because I almost drool looking at the gorgeous free motion quilting designs in magazines, books, internet etc. Thanks for the chance! I free motion quilt and wiyld love some pretty varigated threads. 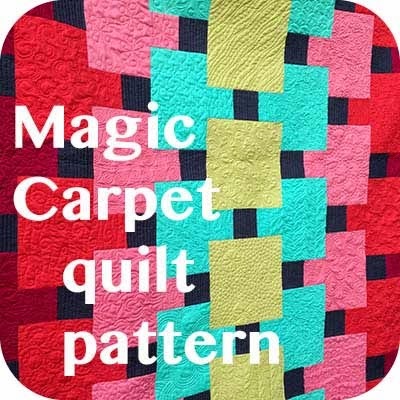 I have been following this blog: http://freemotionquilting.blogspot.com/ for lots of free motion ideas. I also like Karen McTavish's book. I've read soooo many blogs and books and magazine articles that no single one stands out in my mind. Right now, my free motion quilting has come to a grinding halt until I can finally shake the afteraffects of a fender bender and then figure out what's wrong with my machine. I do not free motion quilt yet, although I would like to try it out. I am newer to quilting and have only been handstitching and straight stitch quilting on my machine. I need to get the special foot for my machine I guess, before I can start. I have viewed several videos on different blogs, and it doesn't seem too intimidating. Thanks for the possibility of this pretty yarn. I think I belong to the group above. I so want to be able to free motion quilt like the pro's and everyone just says practise! practise! practise!. 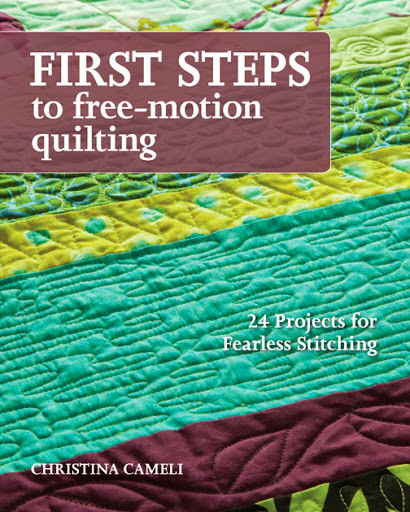 I have been following Leah Day's free motion quilting. I have sandwiched about a dozen squares and on a small piece I seem to do okay. When it comes to a larger project my mind wanders far too much, but I am trying. I love the YLI thread and have a spool or two but have not used to any great extent. Ya know.... my machines are NOT fancy by any means - I have a Singer 4210 and a Janome 2010 - The Janome has a boatload of amazing features the Singer did not - Also, the Singer has a big gaping hole in the throat (long story) which is the reason I had to get a new one. Nonetheless, the Singer came with what looks like a machine quilting attachment. I just need to know what in the world I have to do to get straight stitches on the front AND the back. I have not even got close on the Janome - and I am thinking of using the Singer with the foot/ or ordering a foot for my Janome. IS THE FOOT ATTACHMENT REALLY IMPORTANT?? Thanks again for the giveaway and quilt along!! Can't WAIT!! !